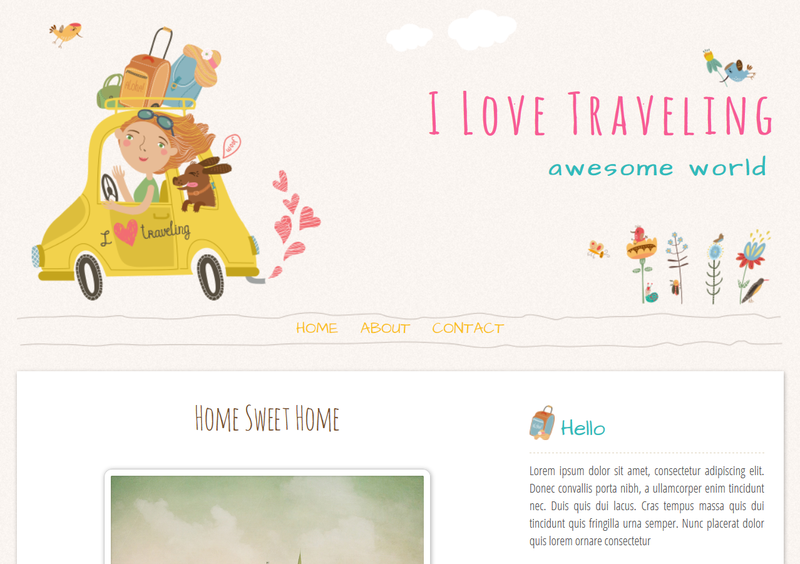 New free blogspot template especially for traveling blog. Simple layout with no crowded graphics only "girl in the car ready for traveling" as header graphic. I choose a pastel color, pink, yellow, blue, and brown color. I combine handdrawn graphic and handwriting font, result an online diary for traveller. kalo mau pesen template blog bisa gak? bayar? Bisa buat template buat Book Blogger gak? Kayak cewek pakai kacamata lagi baca buku gitu!